The archives catalog description reads, “cap and gown of Frank Alexander Wetmore.” So it was a surprise to shake open a long gray box and find not a gown but four graduation hoods — in buff and blue, but also vibrant yellows, reds and white — and not a mortarboard but a spiffy Stetson top hat. While the owner might not have agreed with the loose description, he probably could have appreciated the collection’s regal plumage and panache. 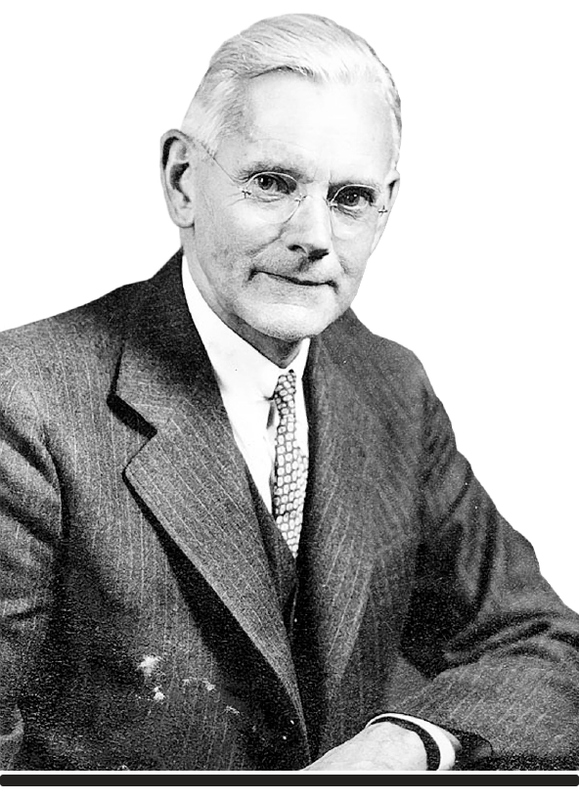 A renowned ornithologist and avian paleontologist, Dr. Wetmore, MA ’16, PhD ’20, HON ’32 and longtime GW trustee, was the sixth secretary of the Smithsonian Institution and the first to have a PhD. He held the post from 1945 to 1952, and for the 20 years prior served as assistant secretary, in charge of what was then called the U.S. National Museum. In all, he described 189 new species and subspecies of birds, and added more than 30,000 objects to the national collection. Dr. Wetmore died in 1978. His mark on science lingers, though, in the more than 50 animals, groups of animals and a cactus named in his honor, along with a canopy bridge in Panama—the first in the Western Hemisphere—and an Antarctic glacier.